Pinkish Magenta & Golden Yellow Shade are also available. Good scratch and smudge resistance. Compatibility with a wide variety of media. AT Inks, Cobalt™ Grade is an economical version of ink designed for optimum performance individually on specific printheads as defined by the user. 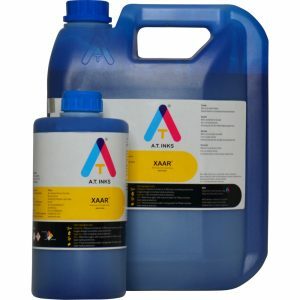 AT Inks offers Cobalt Grade of inks that will work on a specific printhead and designs it and as well as test it on specific printheads before dispatch.